Was the value of the election poster realised? As the dust settles on the 2015 General Election, Primesight's commercial director Chris Forrester focuses in on the real question of posters. Yesterday Britain voted in the most uncertain election since World War II. Tories are now predicted to win a narrow majority. Ed Miliband rues "disappointing" night and Labour is crushed by SNP, with nationalists winning 56 of 59 seats in Scotland. 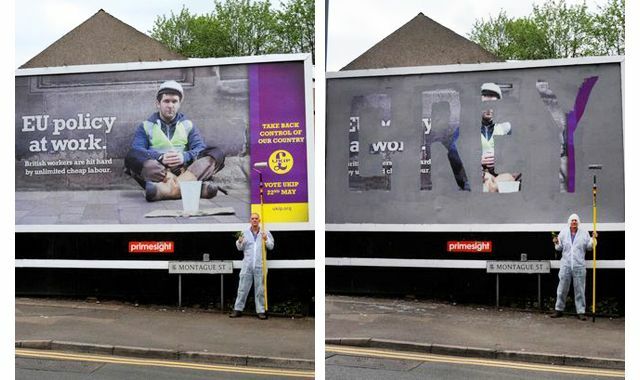 Lord Bell wrote in Campaign last month that one of the two election traditions that are inviolate is that "out-of-home advertising was, is and always will be a vital weapon in the political armoury at election time". I, of course, agree, but I also think that in this election outdoor was more vital than ever before. We are now in an age of 140 characters where we are put off by "too long, didn't read". Unsurprisingly, social media is more active than during any previous election, with Twitter followers focussed on the celebrity leaders themselves. Cameron wins the race with 999,097 among party leaders, whereas Labour leads with 213, 678 followers among parties. Having said that, only 11% found Facebook, Twitter or any other social media influential (Dipsticks Research). These celebrity leaders attracted a relatively modest audience of 4 million to 5 million voters during the TV debates this season, taking detailed questions on specific policies. 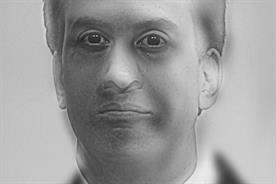 As you would expect, the press picked sides with the surprise of the election so far – The Independent. But did this support carry the same swing as it did in past? Will any of the press realistically be able to claim this morning that it was ‘them that won it’? Interestingly, I am not sure I've ever seen so many column inches devoted to political posters in the press before. Brian Wheeler wrote an interesting article for the BBC on the death of the political poster making me and probably many in the industry wince. The title Where Have All The Posters Gone? leads to the same conclusion as a German journalist covering the election questioning "Where are the billboards?" It's not that there weren't any, just that the electioneering is confined to a few marginal constituencies. I'm not in one and I haven't spent any time in any of them, but by reading the press, I understand that awareness surrounding the election is high and media activity, including posters, seemed to have been stronger in these areas. I went to a Posterscope Pioneers session at the beginning in the year with Sir John Heggarty. As you'd expect, it was a great session with a lot of takeouts, but something that stayed with me was Sir John’s view on brands. Not quite verbatim, he said brands were made by the people knowing about the product as much as the people who buy it, and it was fame not celebrity that were important. A number of Byron Sharp's rules for brand growth follow a similar line at times – continuingly reach all buyers of the category, ensure brand is easy to buy, get noticed, create and use distinctive brand assets and be consistent. The classic poster is not the only way to deliver the above but certainly ticks many of the boxes. Two parties to me have really stuck out over the past 18 months – UKIP and SNP. 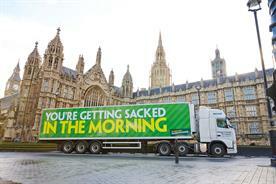 Unsurprisingly, both of them made substantial use of outdoor in their campaigns. It felt that the election started a long time ago for UKIP and it has without doubt stuck to its story throughout. 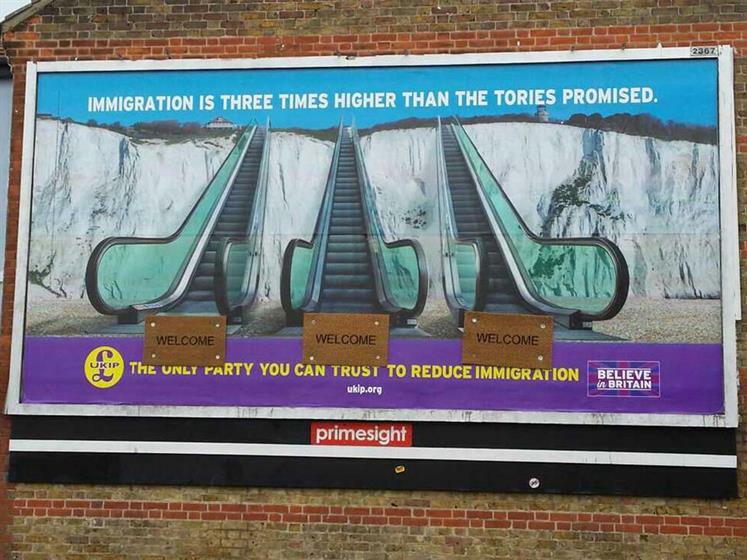 In Byron Sharp's terms, UKIP had consistent brand messaging. It had clear and single minded approach and used posters throughout (occasionally defaced later). It also rallied behind the traditional use of leaflets in windows and gardens in the areas I've found myself in. As a consequence, UKIP is now the third biggest party in the UK achieving over 3.7 million votes. Equally interesting is what has happened north of the border. 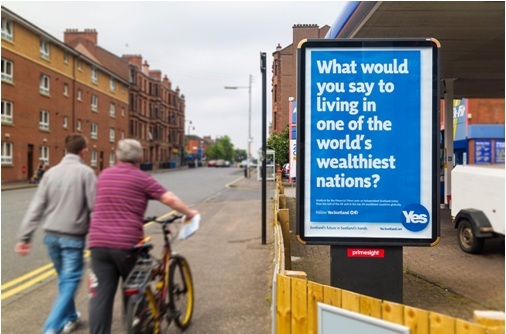 I was in Glasgow prior to the referendum last year and the city was awash with posters. In this General Election SNP have again used classic posters as a key element of their omnipresent brand building strategy, achieving a much stronger outdoor campaign presence. No one could doubt they are reaching all buyers in the category – something the main parties in the UK could learn from. Unquestionably, SNP have been the winners of this year's political campaigning by winning the vote in Scotland. The classic poster has always been a tweet in time, with the power to build brands in which we trust. Perhaps sometimes we forget what we know, but maybe by the time of the next election, however soon it may be, an old lesson might have been relearned and the outdoor presence of parties will once again lead the conversation.